The 23220MN9980 Countershaft Comp can be ordered. Fits Honda. 23220-MN9-980 is the manufacturercode. Part of rebuilding any engine usually includes reconditioning the transmission assembly; this will improve performance, reduce transmission backlash and lead to a smoother and quieter ride - replacing this COUNTER-SHAFT can only improve the results. Don't forget to order ALL the gaskets required in one economical shipment! Try our pro-workshop gasket sealant, 08C70K0234M to complete the job like a professional! 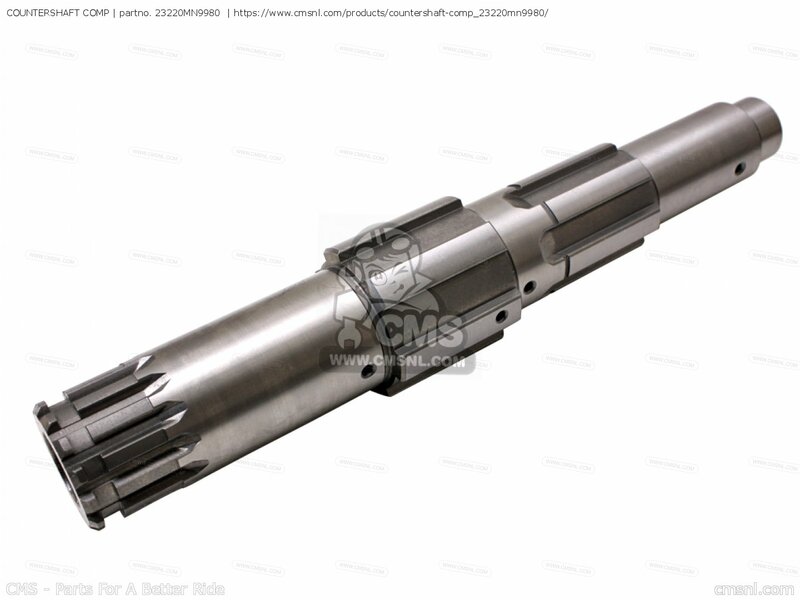 If you want to discuss this COUNTERSHAFT COMP, please go the forum and post a message. Hello , I need to replace the shaft where the sprocket drive is attached, is this the rigth shaft..